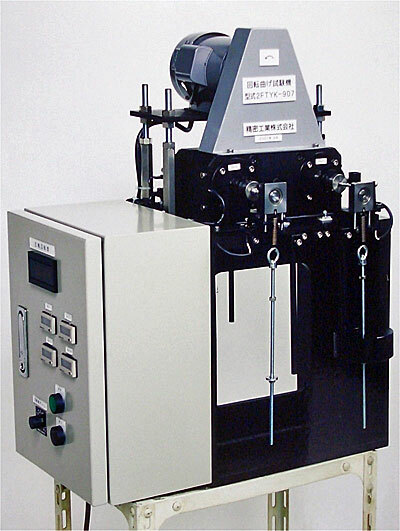 Rotation bend testing machine is an equipment to measure the fatigue strength of the materials or the parts. Our machine is simpler, easier and less expensive than ones on the market. *For inquiries, please send a message through this form. Made in welding factory of Seimitsu Industrial CO,. LTD. The product on the picture above was delivered to University of Hyogo.